ГлавнаяМорское ЧтивоShip NavigationNavigation Equipment and ResourcesWhat is Bridge Navigational Watch & Alarm System (BNWAS)? Navigating a giant vessel is not at all an easy job and when it comes to a situation of emergency, wherein the navigational officer has to make some quick decisions, the safety of the entire ship and its crew depends on that officer. This is when automated systems are extremely useful. 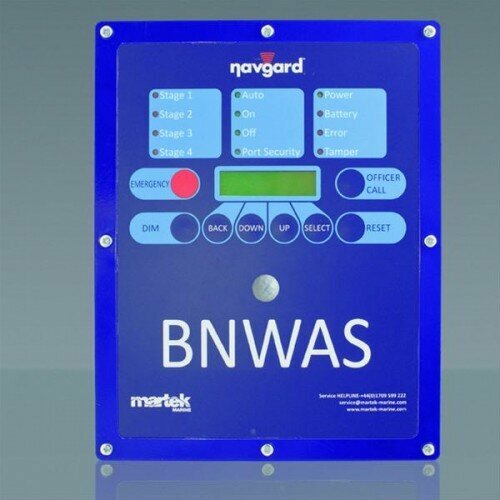 BNWAS is one type of automated system used on ships. Bridge Navigational Watch & Alarm System – BNWAS is a monitoring and Alarm system which notify other navigational officers or master of the ship if the officer on watch (OOW) does not responds or he/she is incapable of performing the watch duties efficiently which can lead to maritime accidents. There have been many incidents in the past wherein ship has collided or grounded due to wrong decision or inefficiency in taking decision at the correct time. If during an emergency situation navigational officer is not capable to handle that situation it can lead to devastating scenarios. To avoid this BNWAS is installed on bridge which acts similar to a dead man alarm in the engine room. A series of alert and alarm is first sounded by BNWAS in the Navigation Bridge to alert officer in watch. If there is no response to the series of alarms, then BNWAS will alert other Deck officers, which may include Master of the ship, so that someone can come out on bridge and handle the situation and tackle the problem. SOLAS chapter V regulation 19 states that all passenger ship and cargo ships 150 GT and above must install BNWAS on or after 1st July 2011 with some waver in terms of installation period for old vessels. The system must be approved by classification societies and should be easy to operate. BNWAS must be operational when ship is heading on a voyage unless instructed by the master of the ship.